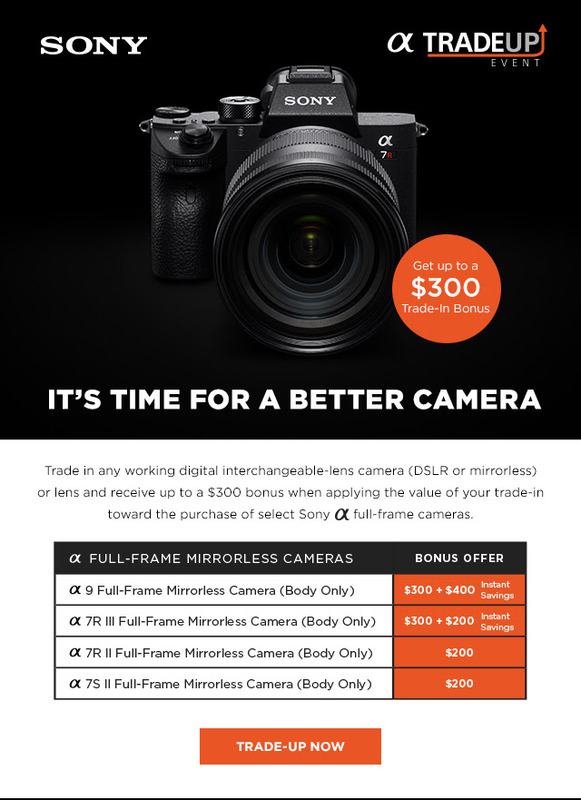 After up to $300 trade-in bonus, you can get Sony a9 for $3,798, a7R III for $2,698, a7R II for $1,798, a7S II for $2,198. All these are lowest price online ever. Up to $100 off new Sony lenses and accessories rebates now also available at Adorama. Previous Previous post: Sony RX100 VA now In Stock & Shipping ! Next Next post: Sony FE 24-105mm f/4 G OSS Lens now In Stock at Adorama !